Let's be real, we all face the annual question, "what do I get my dad for Father's Day?" In most families, it's safe to say that dad is probably the hardest to buy for. Typically, he chooses to live a simple existence, without much need for anything new or fancy. But, you know as well I do that once you introduce your dad to some new technology, he can't stop messing around with it! So what new gadgets and technology are dads going to be interested in this year? In the following blog, you will see some great tech gift ideas for Father's Day this year, both expensive and cheap. 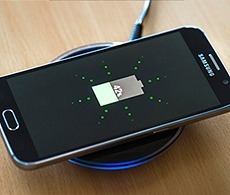 •Mophie Charge Force Vent Mount: The Charge Force Vent Mount is one of the newest wireless chargers on the market. The main con for this product is that you are required to have a mophie smartphone case in order to operate the charger. Big advantage to this product is that it offers 50% additional battery life to your mobile phone. •Tylt Vu: On the market today, this is one of the premium options available. The Tylt Vu offers 12 volts of power, which is one of the highest among wireless charger products. The only negative to this product is that there is no slot for your headphones. This is a great option for only $33.00 at market value. 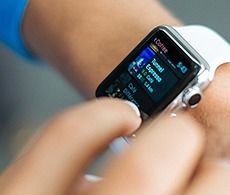 Smartwatch: Smartwatches have become a big attraction over the past year or so. And although, this is a more expensive product for the Father's Day holiday, this is definitely a perfect fit gift for dads everywhere. •Q Founder Smartwatch: This product is developed by Fossil making it a high quality device. The benefits of this Smartwatch are that it has a great appearance and contains a light sensor which will automatically adjust the brightness of the display. It operates on the latest version of Android Wear. The biggest con is consumers have come to think of this product as a more of a bulky watch. You may want to go in with your siblings on this product as well, as it costs $295.00 on the market. • Apple Smartwatch: Here's a doozy of a price for you at a present value of $649.00. Maybe a bit too pricy? Possibly. But if you are looking for the pinnacle of smartwatches that's the price you'll have to pay (no pun intended). This device has 38mm stainless steel casing, contains an awesome fitness tracker, large number of apps and an excellent messaging system. The only real complaint of this product is that the battery life is only a little more than a day, which considering the other options on the market, is not too bad of a deal. 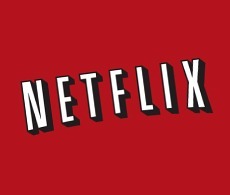 TV Streaming: Netflix, Amazon Prime, and Hulu are just a few of the TV streaming services that have altered the cable television world over the past couple of years. As cable seems to be more a thing of the past, your father will absolutely love these cable alternatives that are less expensive and offer some great viewing options. • Roku: This streaming stick has streams video from all of the major outlets including: HBO, Hulu, Netflix, Amazon and Sling TV. For the inexpensive price of only $39.00, this is one of the best options on the market! • Apple TV: This is a more expensive option at a price of $103.71, but one of the features that sets this device apart is the awesome voice search function through Siri. As any of us know, one of the most valued devices your father takes pride in is his remote control. Well good news... Apple TV boasts the best operating remote control on the market. The only reported con to this streaming service is the price. Whether you're looking to spend big this Father's Day or just looking for something simple, the options above are all great ideas for your dad this year! Do your own research as well! While we have listed some of the more well-known devices above, there are many of other options that might fit your needs and price range better than those above. Either way, show your dad how much you appreciate him the Father's Day with something fun! Have a great Father's Day!